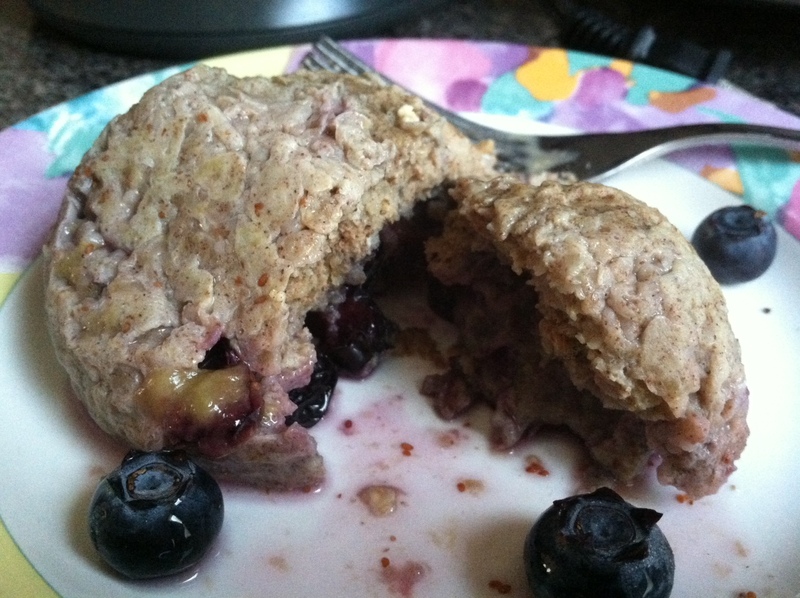 Fit for Success: 1-Minute Clean Blueberry "Muffin"
Breakfast is my favorite part of the day. I love nothing more than waking up early when the house is quiet, pouring myself a few cups of coffee, reading the news, and of course... enjoying a great breakfast. While training for my pageant, I don't have a whole lot of breakfast options: but this morning I found a great alternative! How DELICIOUS does that look? 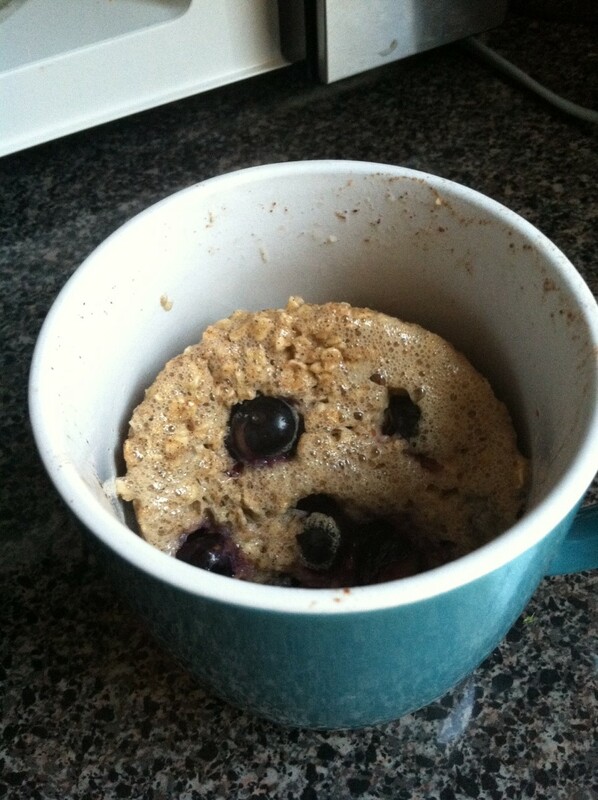 Let me tell you, for how healthy this is AND how good it tastes, I will never eat a fat-filled blueberry muffin again. Ready to give it a try yourself? 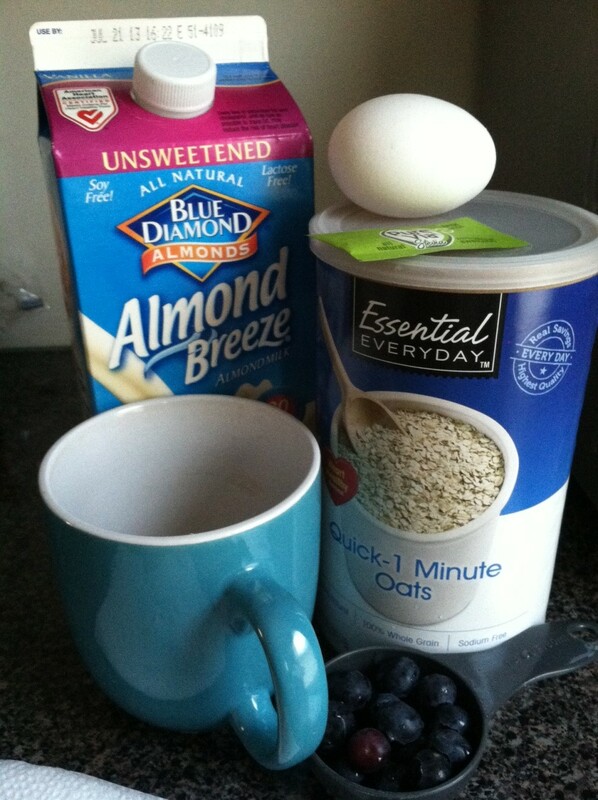 Blueberry "Muffin" ingredients. So simple! Combine all of your ingredients in a coffee mug and mix it together. Put your 'batter' in the microwave for 1 minute (watch to make sure it doesn't over flow!). 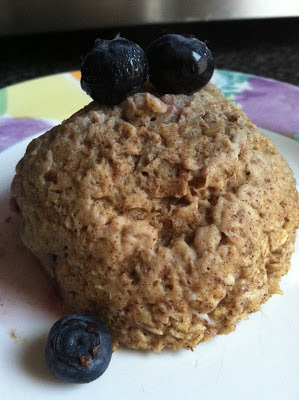 If the 'muffin' top isn't firm, continue to microwave for 30 second intervals. I used my biggest coffee mug, and my microwave time was closer to 2 minutes total. fresh out of the microwave! Once you are happy with the consistency, flip your mug over onto a plate... and get ready to enjoy your Clean Blueberry "Muffin!" I devoured this in about... 2 minutes. Let me know what you think! I added the dash of CINNAMON because I love it, and cinnamon also has great benefits! Stabilizing blood sugar levels, reducing body fat percentages, increasing lean muscle mass, and the fact that it is an anti-viral are just a few of the perks! If you can't eat EGG, you can try substituting for a "flax seed egg" : combine 1 T. flax seed meal with 3 T. water, let it sit for about 2 minutes, then add it in place of an egg. **I have not tried this with this recipe yet! Looks Amazing!!! I can't wait to try it! I just happened upon your blog and its very inspiring. I've been struggling with my weight for quite a few years now and I'm ready to just go for it. I've made some changes and I've lost 85 lbs in 2 years, but need a fresh outlook and get the rest of this weight off! Thanks again for all the great recipes and ideas. Thank you, Terri! Glad you enjoy Fit for Success! You can do it!! Fantastic idea. I'm going to make this! 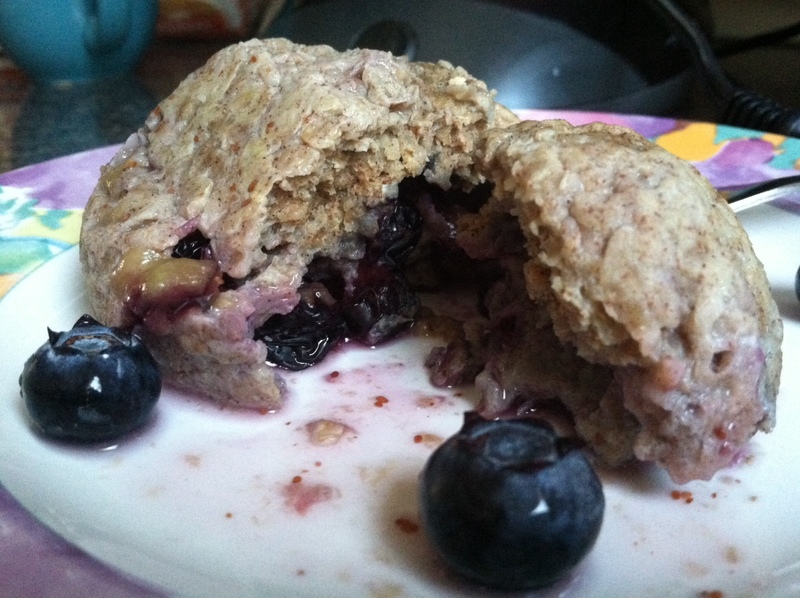 Did you use frozen blueberries? Can you substitute other frozen fruit? Just made this for the first time, and it's delicious! Thank you! Stay on Track: Meal Prep!